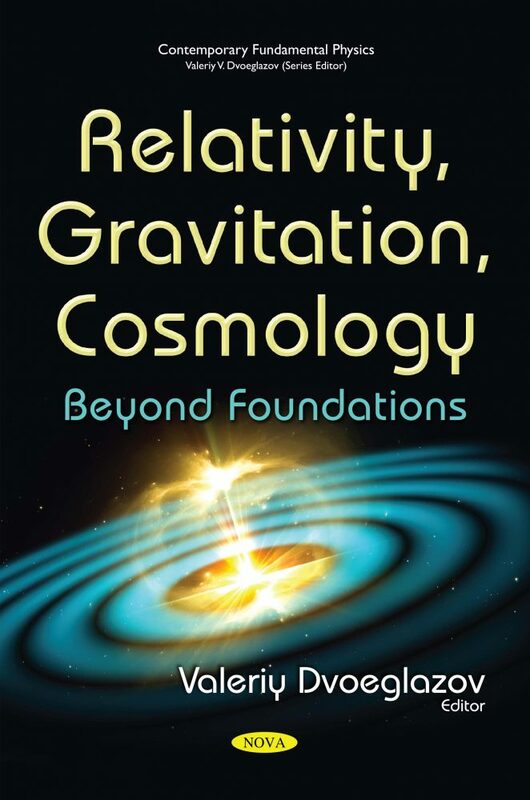 The authors continue the book series entitled Contemporary Fundamental Physics. 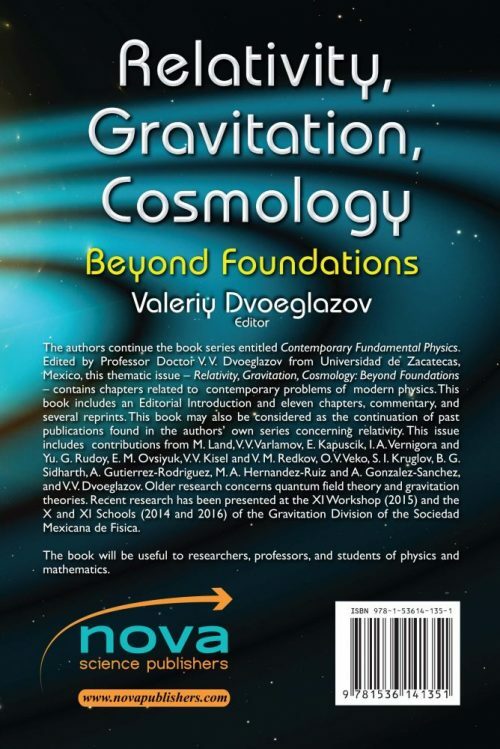 Edited by Professor Doctor V. V. Dvoeglazov from Universidad de Zacatecas, Mexico, this thematic issue – Relativity, Gravitation, Cosmology: Beyond Foundations – contains chapters related to contemporary problems of modern physics. This book includes an Editorial Introduction and eleven chapters, commentary, and several reprints. This book may also be considered as the continuation of past publications found in the authors’ own series concerning relativity. This issue includes contributions from M. Land, V. V. Varlamov, E. Kapuscik, I. A. Vernigora and Yu. G. Rudoy, E. M. Ovsiyuk, V. V. Kisel and V. M. Redkov, O. V. Veko, S. I. Kruglov, B. G. Sidharth, A. Gutierrez-Rodriguez, M. A. Hernandez-Ruiz and A. Gonzalez-Sanchez, and V. V. Dvoeglazov. Older research concerns quantum field theory and gravitation theories. Recent research has been presented at the XI Workshop (2015) and the X and XI Schools (2014 and 2016) of the Gravitation Division of the Sociedad Mexicana de Fisica. The book will be useful to researchers, professors, and students of physics and mathematics. Chapter 8. Does the Temperature of Charged Black Holes Depend on the Charge? In Memoriam: Dr. Thomas E. Phipps, Jr.